After spending much of the past month on the Newport Folk Festival, Remembering Aretha Franklin, the 50th anniversary of The Band's Songs from Big Pink, the Greatest Songs By 21st Century Women and more, we're back with an all-new mix. 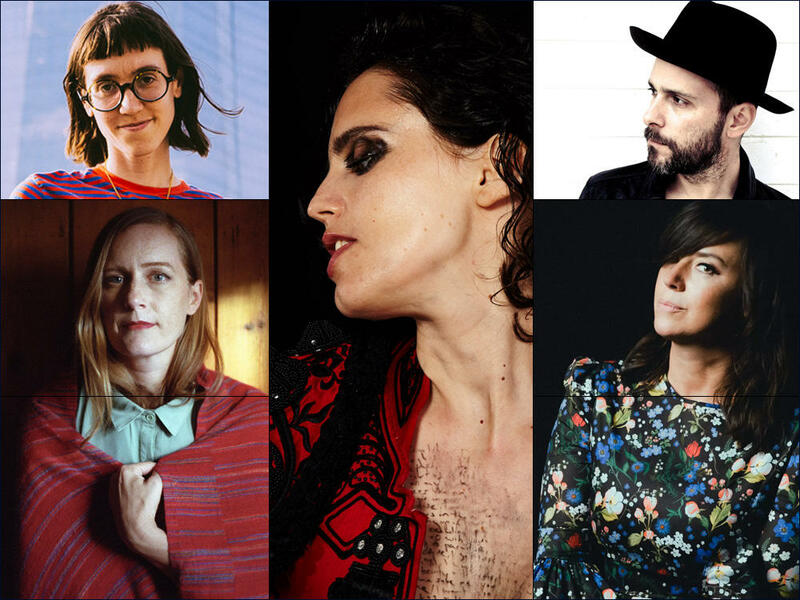 This week's episode includes the return of Cat Power, singer Laura Gibson, new music from Tiny Desk Contest winner Gaelynn Lea and more. We open the show with Gabby's World, the latest incarnation for guitarist and singer Gabrielle Smith, who previously recorded as Eskimeaux and Ó. Her new song, "Rear View," from the upcoming album Beast on Beast, is a burst of buoyant, breezy pop. Also on the show: Greg Laswell reflects on the devastating effects of addiction; Anna Calvi takes a powerful look at gender and identity in the song "Don't Beat the Girl Out of My Boy;" singer Sam Phillips asks how much is enough? And the Australian band Oh Pep! has a question of its own: "What's the Deal With David?"